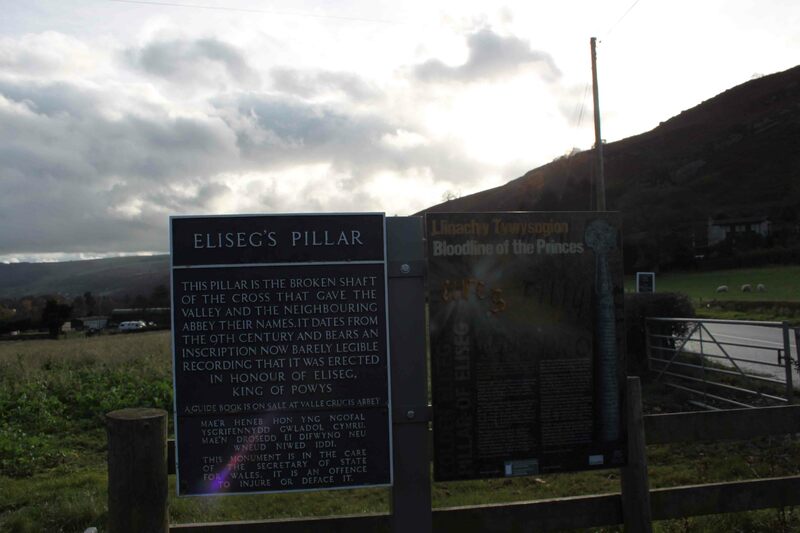 The unique ninth-century monument known as ‘Eliseg’s Pillar’ or ‘The Pillar of Eliseg’ has a regular and justified place in my blog posts. I’ve recently discussed receiving the Martyn Jope Award for 2017 from the Society for Medieval Archaeology for a peer-reviewed research article – Placing the Pillar of Eliseg – in the journal Medieval Archaeology about the monument’s landscape context, researched and written in collaboration with Dr Patricia Murrieta-Flores. 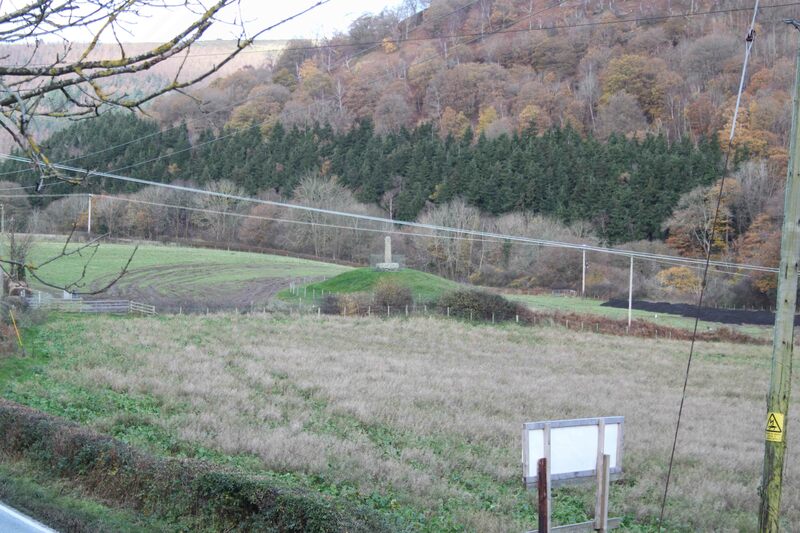 Also, following Project Eliseg’s investigations, the Pillar of Eliseg has (since April) been furnished with new heritage boards: both at the entrance to the field in which it is situated, and also by the entrance to Valle Crucis Abbey. The portrayal of the Pillar at Valle Crucis Abbey has also been considered. 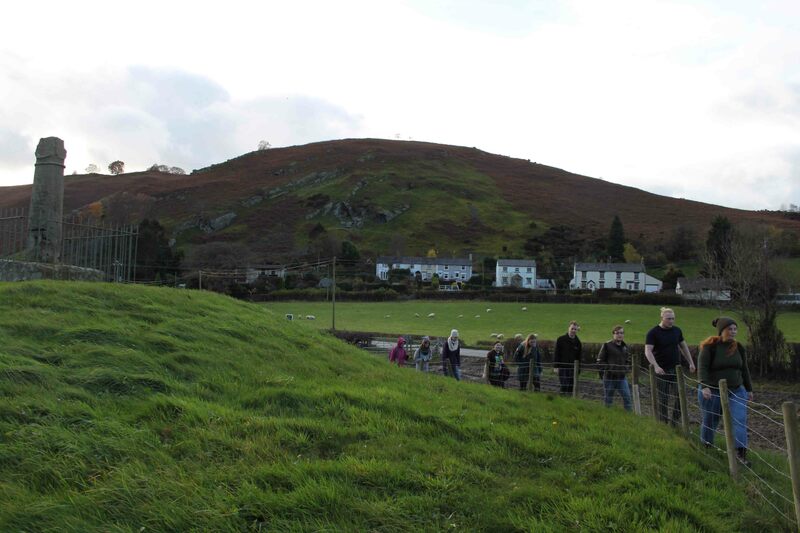 I’ve been presenting my preliminary ideas about the public archaeology of Project Eliseg here. 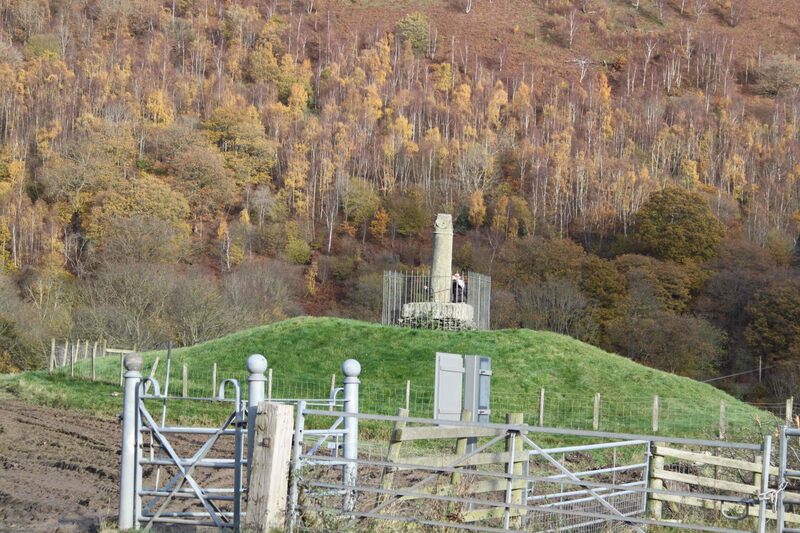 I’m writing up the Project Eliseg monograph with my colleagues from Bangor and I’ve been discussing the monument’s landscape context, as with here and here. 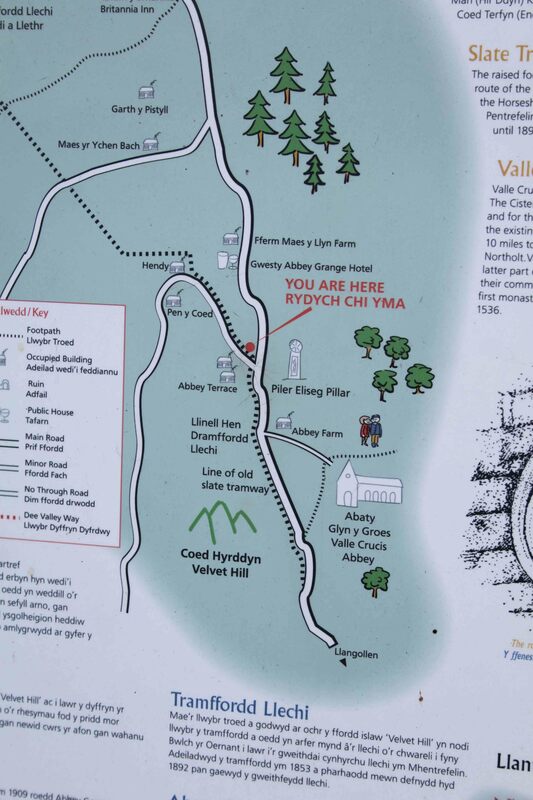 I take my level 5 (second-year) ‘Medieval Britain’ students to both Valle Crucis Abbey and the Pillar of Eliseg every year, and this was the first time I had to do so with the new heritage boards in place. Therefore, recently was the first time I took the students there and was able to articulate the many stories and ongoing challenges with the interpretation of the Pillar of Eliseg. 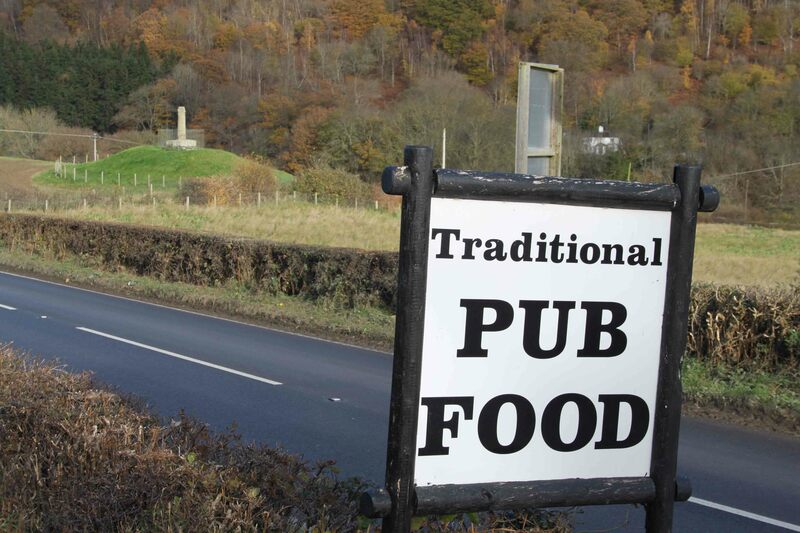 In terms of the story of the monument, I relayed its origins as a Bronze Age kerbed cairn, through its early medieval phase with the original positioning of the monument and its potential function as an assembly place. I then addressed the monument’s persistence through the Middle Ages and its post-medieval neglect, fragmentation and multi-staged restoration. This leads to issues of access, conservation, management and interpretation today, from the challenges of getting to the monument, its various manifestations and visual intervisibilities with its surroundings, to the challenges of navigating the monument itself. 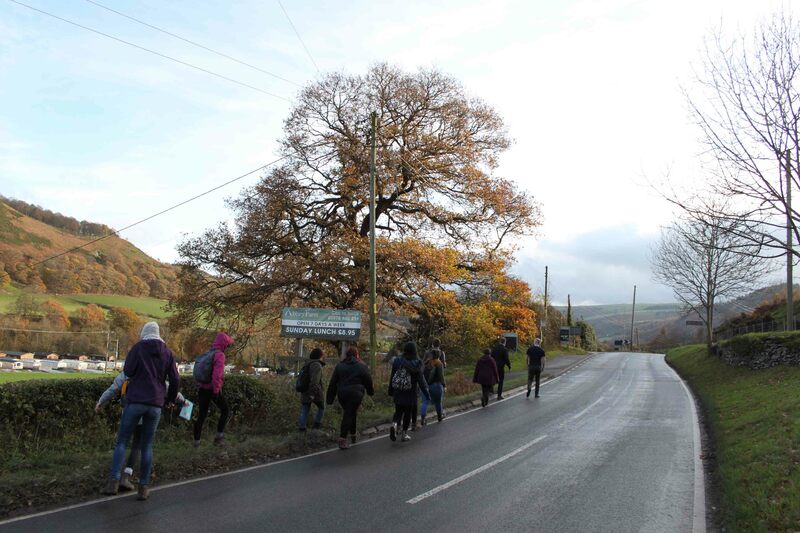 We then look out and consider the landscape dynamics of the monument through its many phases of use and reuse, and consider its relationship to other prehistoric burial mounds, the abbey and its farms, and to post-medieval routeways and pubs. In short, my field trip encapsulates the ‘compleat Pillar of Eliseg’ from past to present, and then back to the past again. We walk to it, look at it, move around it, look out from it, and move back. 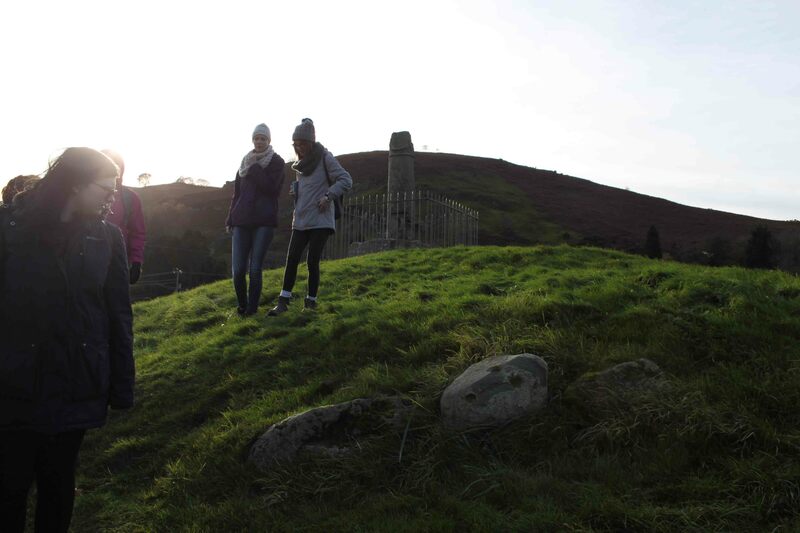 In short, the Pillar of Eliseg is the perfect site for so many archaeological and heritage conundrums!